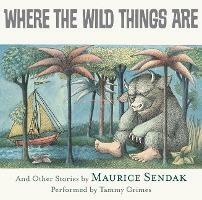 Maurice Sendak's Where the Wild Things Are was published in 1963 to great critical acclaim. Brian O'Doherty of The New York Times said that Mr. Sendak's work, "disguised in fantasy, springs from his earliest self, from the vagrant child that lurks in the heart of all of us." Where the Wild Things Are is the first book in a trilogy that includes In the Night Kitchen, published in 1970, "a profoundly engaging fantasy that ought to become a classic" (The New York Times) and Outside Over There, published in 1981, which Newsweek called "extraordinary... triumphantly moving." "Each word has been carefully chosen and the simplicity of the language is quite deceptive." -- "SLJ. ""The clearer reproductions of the original art are vibrant and luminous [in this edition]." -- "H."